We are glad to announce that the 2014.03 version of Carte Blanche Ukraine NT map is now available for Garmin® and Kenwood® navigation devices! The total road network coverage is increased by 3 000 km and constitutes 473 300 km. The total street network coverage is increased by 1.0% and now constitutes 53.2% by population. Address search covers 46.3% by population. Number of POIs is increased to about 82 600. Therefore, now CarteBlanche Ukraine map 2014.03 contains a detailed coverage of 923 settlements (53.2% of the Ukrainian population), including 175 cities; almost all of this coverage (46,3% of population) includes address search. The map features a detailed coverage of all settlements in 11 districts of Kyivs'ka oblast' (Bilotserkivs'kyi, Borodians'kyi, Boryspil's'kyi, Brovars'kyi, Kaharlyts'kyi, Kyievo-Sviatoshyns'kyi, Makarivs'kyi, Obukhivs'kyi, Pereiaslav-Kmel'nyts’kyi, Vasyl'kivs'kyi and Vyshhorods'kyi), in-block passages in many cities. The total length of road coverage is 473 300 km, including a large number of unpaved roads. We are glad to announce the release of 2014.03 CarteBlanche Ukraine map version for CarteBlanche Navigator, iGO 8 and iGO Primo applications! We are glad to announce that the 2013.09 version of Carte Blanche Ukraine NT map is now available for Garmin® and Kenwood® navigation devices! The total road network coverage is increased by 4 000 km. Zaporiz'ka oblast': Orikhiv, Polohy, Preobrazhenka. The total street network coverage is increased by 0.3% and now constitutes 52.2% by population. Address search covers 45.6% by population. Number of POIs is increased to about 81 360. Therefore, now CarteBlanche Ukraine map 2013.09 contains a detailed coverage of 865 settlements (52.2% of the Ukrainian population), including 166 cities; almost all of this coverage (45.6% of population) includes address search. The map features a detailed coverage of all settlements in 10 districts of Kyivs'ka oblast' (Bilotserkivs'kyi, Boryspil's'kyi, Brovars'kyi, Kaharlyts'kyi, Kyievo-Sviatoshyns'kyi, Makarivs'kyi, Obukhivs'kyi, Pereiaslav-Kmel'nyts’kyi, Vasyl'kivs'kyi and Vyshhorods'kyi), in-block passages in many cities. The total length of road coverage is 470 300 km, including a large number of unpaved roads. 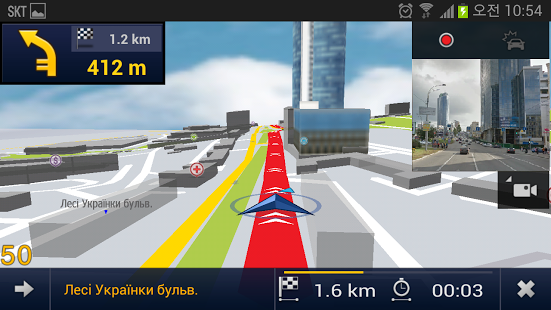 An updated version of Mireo DON'T PANIC 4.7.6 with CarteBlanche Ukraine map 2013.12 is available on Play Store. The update is free for all legal users. The total road network coverage is increased by 2 300 km. The total street network coverage is increased by 0.7% and now constitutes 52.9% by population. Address search covers 46.1% by population. Number of POIs is increased to about 81 700. Therefore, now CarteBlanche Ukraine map 2013.12 contains a detailed coverage of 918 settlements (52.9% of the Ukrainian population), including 172 cities; almost all of this coverage (46,1% of population) includes address search. The map features a detailed coverage of all settlements in 11 districts of Kyivs'ka oblast' (Bilotserkivs'kyi, Borodians'kyi, Boryspil's'kyi, Brovars'kyi, Kaharlyts'kyi, Kyievo-Sviatoshyns'kyi, Makarivs'kyi, Obukhivs'kyi, Pereiaslav-Kmel'nyts’kyi, Vasyl'kivs'kyi and Vyshhorods'kyi), in-block passages in many cities. The total length of road coverage is 472 600 km, including a large number of unpaved roads. An updated version of E2M Carte Blanche Ukraine: GPS for Android with CarteBlanche Ukraine map 2014.03 is available on Play Store. The update is free for all legal users. The total road network coverage is increased by 7 000 km. In the city of Vyshhorod street networks and address databases are substantially updated. More Time for Life, Less Money on Fuel! Online traffic data service CarteBlanche.Traffic is launched! The owners of Android smartphones and tablets with Mireo DON'T PANIC already have the opportunity to try and enjoy the service. Mireo DON’T PANIC includes an efficient offline CarteBlanche Ukraine map, which is stored in the memory of the device or on an SD card. The app is convenient, reliable and reasonably priced, and it doesn’t require mobile Internet connection. The additional online CarteBlanche.Traffic service will make driving around Kyiv even more comfortable. The routes in the capital of Ukraine and the surrounding area are calculated with account of the current traffic situation, avoiding morning and evening traffic jams, accidents, strings of traffic lights and long left turns where possible. The service also allows to take into account temporary, permanent or periodic changes in traffic organization, such as blocked roads, time-dependent one-way traffic, changed lane markers and so on. So, with CarteBlanche.Traffic the users of Mireo DON'T PANIC can enjoy the advantages of both online and offline GPS navigation, and, what is more, reduce fuel consumption and save your precious time for family, friends or hobbies! Please refer to the Updates section for updating your Mireo DON'T PANIC to the version 4.7.5 and adding TMC files. ATTENTION: CarteBlanche.Traffic service (unlike Mireo DON’T PANIC app itself) requires mobile Internet connection. Please consult your mobile operator for your mobile Internet rates. We advise to choose a billing plan with sufficient number of MBs included. DISCLAIMER: CarteBlanche.Traffic service is provided free of charge and on “as is” basis, in the test mode. The service might be interrupted or temporarily discontinued for operational reasons. We are glad to announce that the 2013.06 version of Carte Blanche Ukraine NT map is now available for Garmin® and Kenwood® navigation devices! The total road network coverage is increased by 4 400 km. Zaporiz'ka oblast': Vasylivka, Mykhailivka, Novomykolaivka, Pryshyb. In the cities of Yalta, Masandra and Livadiia street networks and address databases are substantially updated. The total street network coverage is increased by 0.7% and now constitutes 51.9% by population. Address search covers 45.5% by population. Number of POIs is increased to about 77 770. Therefore, now CarteBlanche Ukraine map 2013.06 contains a detailed coverage of 790 settlements (51.2% of the Ukrainian population), including 154 cities; almost all of this coverage (45.5% of population) includes address search. The map features a detailed coverage of all settlements in 9 districts of Kyivs'ka oblast' (Bilotserkivs'kyi, Boryspil's'kyi, Brovars'kyi, Kaharlyts'kyi, Kyievo-Sviatoshyns'kyi, Makarivs'kyi, Obukhivs'kyi, Pereiaslav-Kmel'nyts’kyi and Vasyl'kivs'kyi), in-block passages in many cities. The total length of road coverage is 466 300 km, including a large number of unpaved roads. Legal users of CarteBlanche Ukraine NT map or CarteBlanche Ukraine map (provided that their navigation device is compatible with the new map version) may update the map for free. 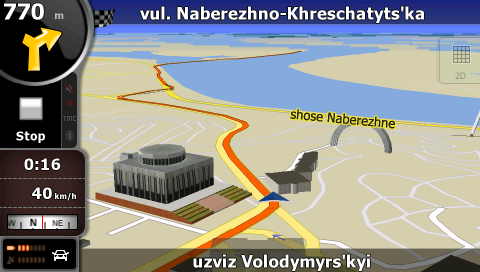 An updated version of Mireo DON'T PANIC 4.7.5 with CarteBlanche Ukraine map 2013.09 is available on Play Store. The update is free for all legal users. Therefore, now CarteBlanche Ukraine map 2013.09 contains a detailed coverage of 865 settlements (52.2% of the Ukrainian population), including 166 cities; almost all of this coverage (45.6% of population) includes address search. The map features a detailed coverage of all settlements in 10 districts of Kyivs'ka oblast' (Bilotserkivs'kyi, Boryspil's'kyi, Brovars'kyi, Kaharlyts'kyi, Kyievo-Sviatoshyns'kyi, Obukhivs'kyi, Pereiaslav-Kmel'nyts’kyi, Vasyl'kivs'kyi and Vyshhorods'kyi), in-block passages in many cities. The total length of road coverage is 470 300 km, including a large number of unpaved roads. An update for E2M Carte Blanche Ukraine Android app is released on Google Play. In the new version the app compatibility with tablet PCs is increased. In particular, the launching error which had occurred on Asus Google Nexus devices is now corrected. The users are welcome to update the app and try the upgraded version!